Please recycle our lamps when they have reached the end of their usable lives. All of our lamps can be recycled the exact same way you would recycle any fluorescent lamp, whether it was a a 4 foot office/shop light or compact fluorescent bulb (CFL). Almost every city or county has a Hazardous Waste Disposal area. Some are open once a week, some are open daily. Most of the time, it is free for small "household" quantities, such as 8 or 12 lamps. We deal in larger quantities so we can't get it for free. Our net cost per lamp is about 50 cents for a F32, and twice that for a F71. If you have to pay, it might be similar. Recycling means cleaner water, and cheaper products in the future. All fluorescent lamps, including Solacure UV curing and horticultural lamps contain mercury. While we use a technology that lets us use about half of what old school lamps use, this is still more than you want to see dumped into a landfill, lake or stream. 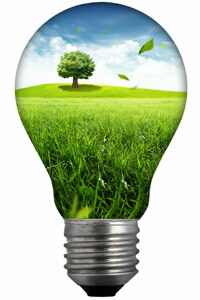 By recycling, you are allowing the raw materials to be used for other purposes. Maybe even more UV cure lamps. Solacure works hard to make our products as safe for the environment as possible. This is why every Solacure lamp uses reduced amounts of mercury, uses special glass and filaments designed for a longer life, and of course, we recycle all broken or test lamps ourselves. We COULD design our lamps for shorter lives, so you would have to buy more often (this is common practice in the industry) but that isn't were we come from, and the environment is a big reason why we don't. We don't want to preach here, we just want to say that it doesn't take that much effort to do the right thing. Most communities have centers for hazardous waste, such as paint and the like, and these lamps (as well as all fluorescent lamps, including CFLs) should go there. Most of the time, it is free to drop your lamps off, assuming you aren't bringing a truckload of them. If you have any question on our practices when it comes to recycling, please give us a call. We will be happy to share with your our goals and efforts. Main topic is CFL lamps, but the same principles apply to all fluorescent lamps. Lighting manufacturers, through their trade association, National Electrical Manufacturers Association (NEMA) developed lamprecycle.org to provide a one-stop source of information about recycling lamps.